Eleven people have died and a dozen remain missing after a massive landslide swept through a village in southwest China's Guizhou Province Friday morning, reported Xinhua. 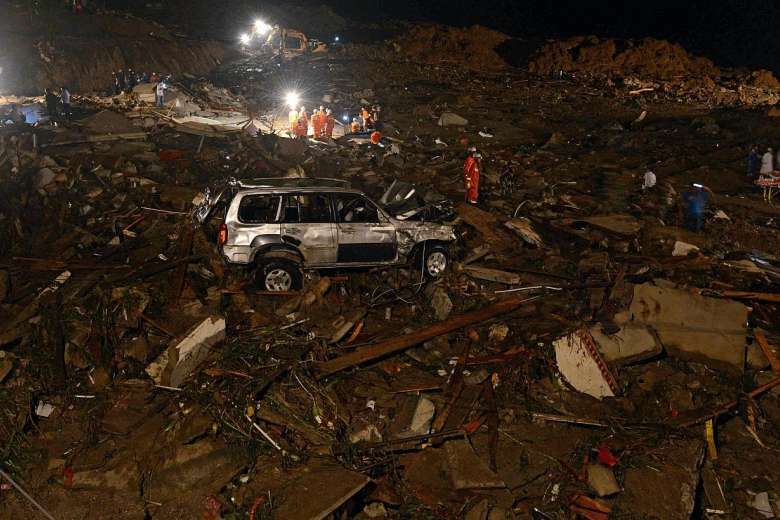 A total of 30 people were buried by debris when intense rain triggered a mud-slide around 5:30 a.m. Friday in Pianpo Village, Dafang County, in the city of Bijie. Seven people were pulled alive from the debris, while 11 were pronounced dead at the scene, according to the county government. More than 800 soldiers and rescuers are working with excavators to find the 12 people who remain missing. The landslide involved more than 95,00 cubic meters of mud flow.